This blog was provided by Brittany Richards who is an editorial coordinator at Software Advice <http://www.softwareadvice.com/> where she handles the Profitable Practice blog. Five steps to improve the effectiveness of your hospital’s newsletter. Email newsletters are a common way to keep your hospital top-of-mind for potential patients, as well effectively reinforcing yourself as a credible healthcare authority within your market. Companies such as Constant Contact provide an affordable, valuable service to organizations that wish to develop a newsletter following and attract new patients. However, effective newsletter marketing is an art, and it requires continuous attention and effort to maintain a following. There should be consistency across all marketing materials. Make sure font and color schemes match. What you send out is a reflection of your hospital so always remember to use the newsletter to reaffirm your brand. Put the email “subscribe” button on your website and social media channels. People who visit these pages are more likely to be interested in receiving a newsletter. This can also ensure that the contacts on the list know what they’re are signing up for. You don’t ever want your emails to come across as spam. Ever. Ask patients to sign-up and keep the process short and sweet. It is no mystery that many emails go unopened or unread. But there is a remedy for this. Use high-quality content to engage your reader. For instance, your hospital could consider email newsletter content on the impact of sugary drinks on a child’s health. It’s a relatable topic and can apply to many different readers. Just remember: The goal is to educate, not sell. If done correctly, the newsletter can provide valuable and helpful content and build loyalty. 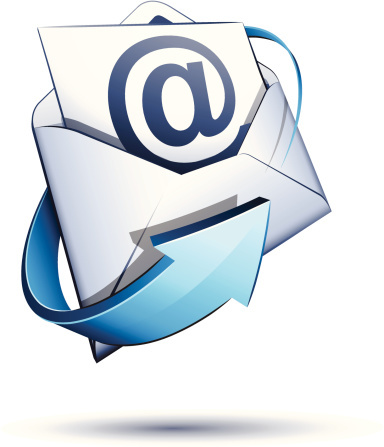 Find which email frequency works best for your hospital and stick to it. If you send out an email monthly then keep it monthly. Just make sure your efforts are consistent. If your content is compelling enough, your readers will anticipate your email. Until you get there, find which email frequency works best for you. Steve Klinghoffer, President of WPI Communications, suggests monthly emails for patient audiences and quarterly for health care providers. The money put toward an email campaign should generate a return. There are important metrics that can be measured to gain insight on the success of your email campaigns. Most email marketing providers track who opened the email, clicked links and did email forwards. Keep a record of that information because the metrics can help shape content for the future. A couple of new patients could cover the costs of a newsletter for a full year. Maximize your results with good content, design and distribution.